This past June, Steve and I took a walk through one of the highest quality woodlands our Ozark hills have to offer. The short hike from the head of the spring to the Powder Mill trail-head and back offered an amazing diversity of life. Here are just a few of the things we were able to find and capture on camera. Nothing can be mentioned about this location without first discussion of the spring itself. The Osage Indians referred to it as “Spring of the Summer Sky”, a most apt description for a spring who’s appearance defines the color blue. 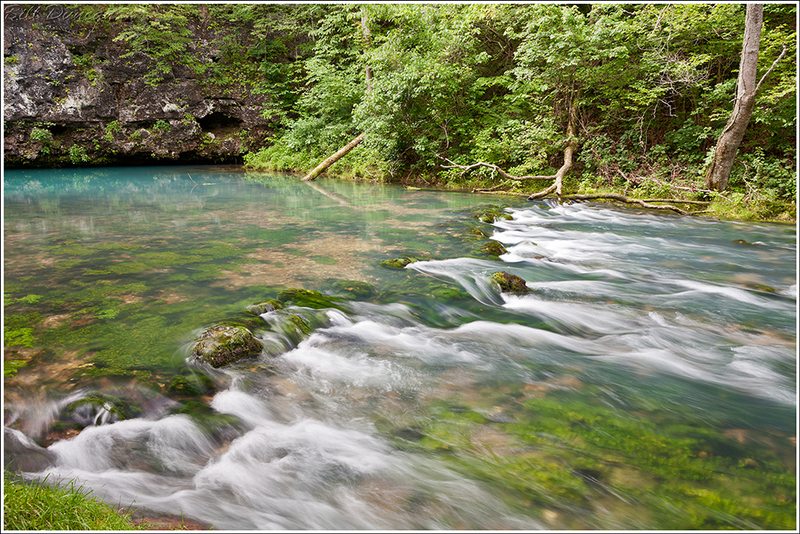 And in summer, when the flow is not overly encumbered by the suspension of dissolved limestone from heavy rains, the crystal-clear waters afford a look to the bottom of the spring, some 250 feet below the pool’s surface. The small nooks and crevices carved over the ages into the limestone and dolomite that overlook the spring pool make the perfect shelter for the Eastern Phoebe to make their nests. Most folks have likely seen the nests of this species under overhangs on human-made structures. It has only been within the last year that I have been fortunate enough to observe these nests in their more natural of settings. 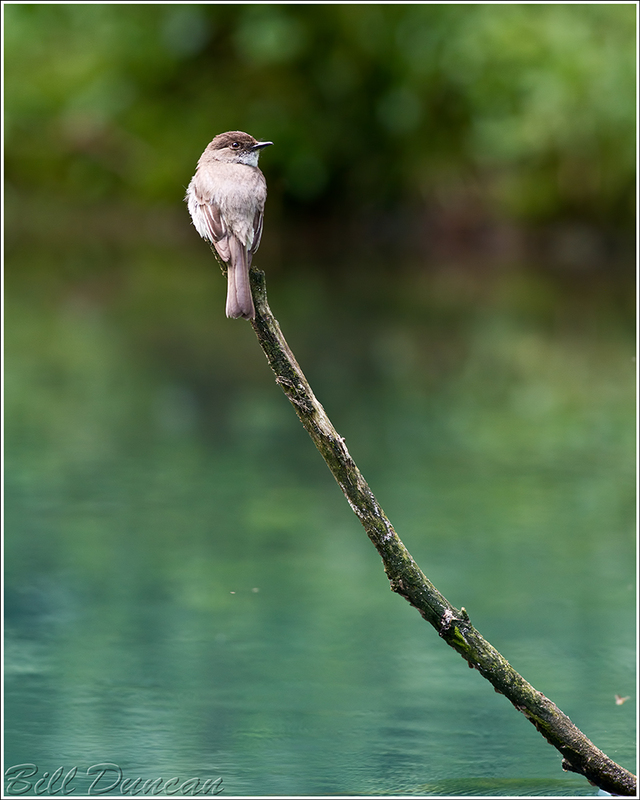 A perfectly placed snag within the spring’s pool makes for a fine resting place for a young Phoebe that is taking a break from the carrying on that was taking place near these nests. It was also a great place and time for us to take a break and take in everything this spot has to offer. Back on the trail a few minutes later Steve and I were pleased to find this guy. 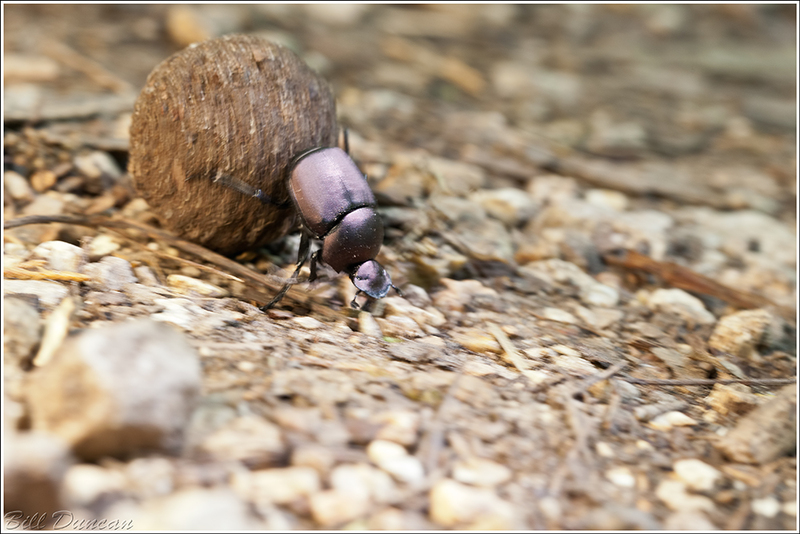 A first for the both of us, this Dung Beetle was moving this “resource” with full conviction. We couldn’t figure out where she was moving it, but she was sure not going to let us get in her way. When gently stopped she would climb to the top of her ball and let it be known that it was claimed. Here’s a little “motion pan” to give an idea of the speed at which she could move her grocery towards its future larder. Our primary goals for this early summer day where to see if we couldn’t find and photograph any or all of three of the more rare warblers that are known to nest in this area. These would be the Swainson’s, Cerulean and Hooded Warbler. Although we did get a few confirmed vocalizations from a Swainson’s, we could not get our eyes on the sneaky guy through all the vegetation. 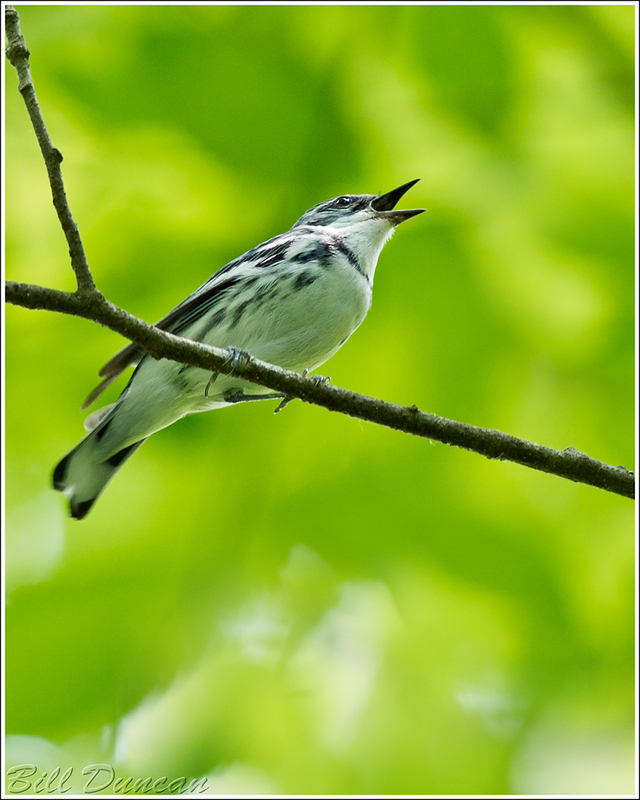 A few quick and loud playbacks did, however, coax 4-5 male Cerulean Warblers to descend from the forest canopy in order to meet the new male who had apparently set up shop amidst their territory cluster. This was a sweeter treat for us than spending time with Willy Wonka (Wilder not Depp) and Heather Graham in a chocolate factory. 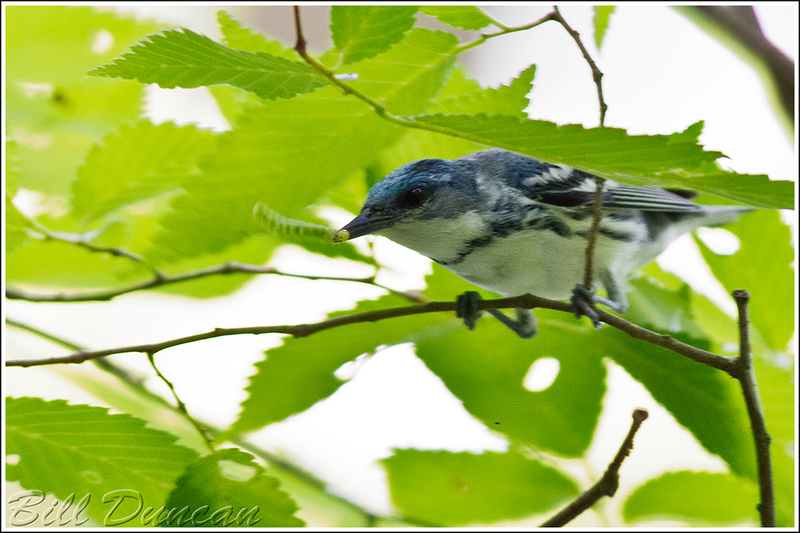 They seemed totally curious and intrigued as they moved among lower branches, foraging and singing as they went. 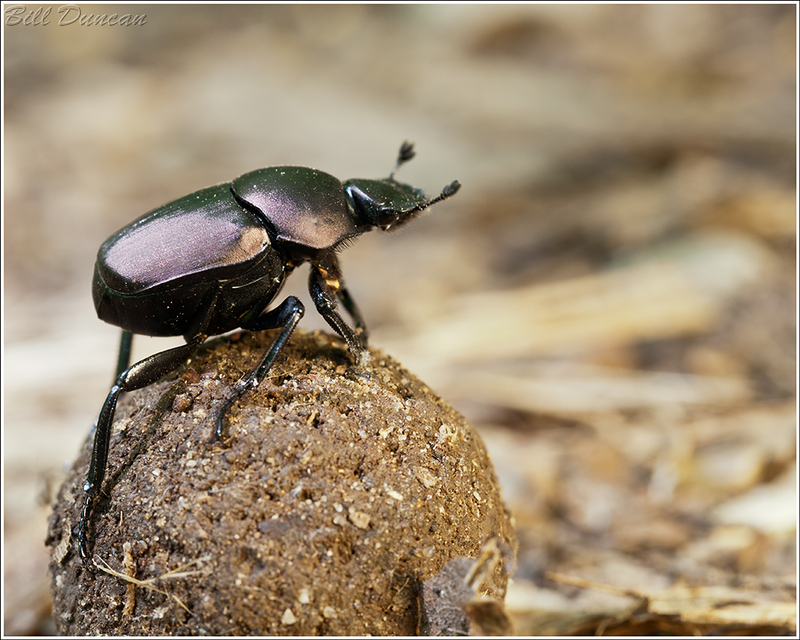 Did you know this species has suffered more than 70% population decline since the 1960’s? Approximately 500,000 birds are the current population estimates and habitat destruction and fragmentation continue to threaten this species. 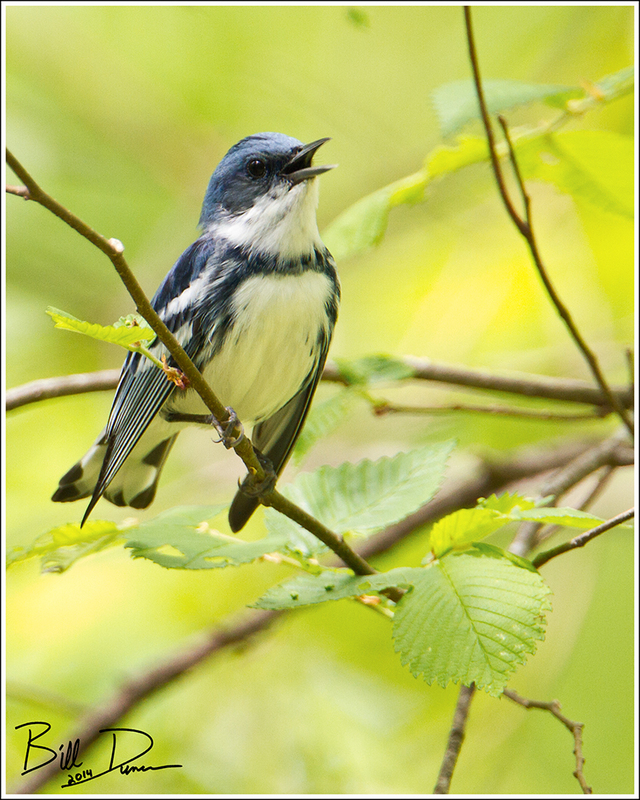 Check out The Nature Conservancy for more information on this great bird, and consider checking out Cerulean Blues. 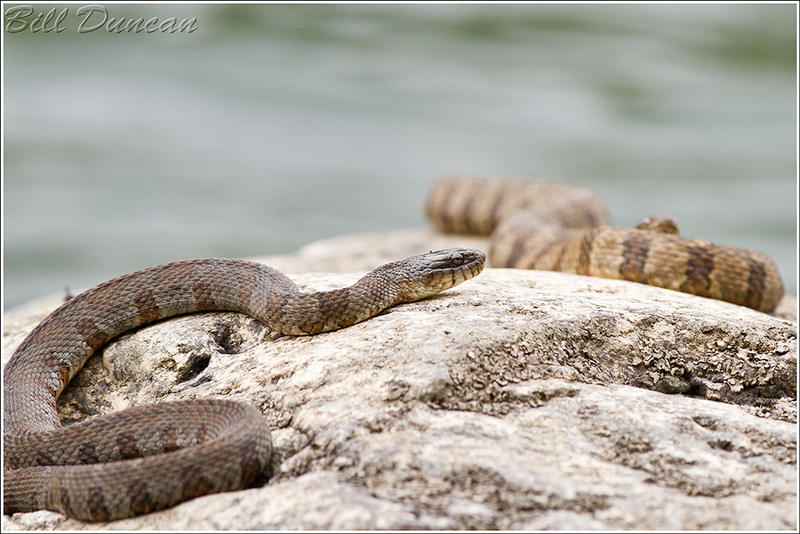 Finally, I present a pair of gorgeous Northern Water Snakes that were basking on some exposed rock not to far from shore along the Current River.